Pre-purchased acupuncture treatments can be used whenever and do not expire. 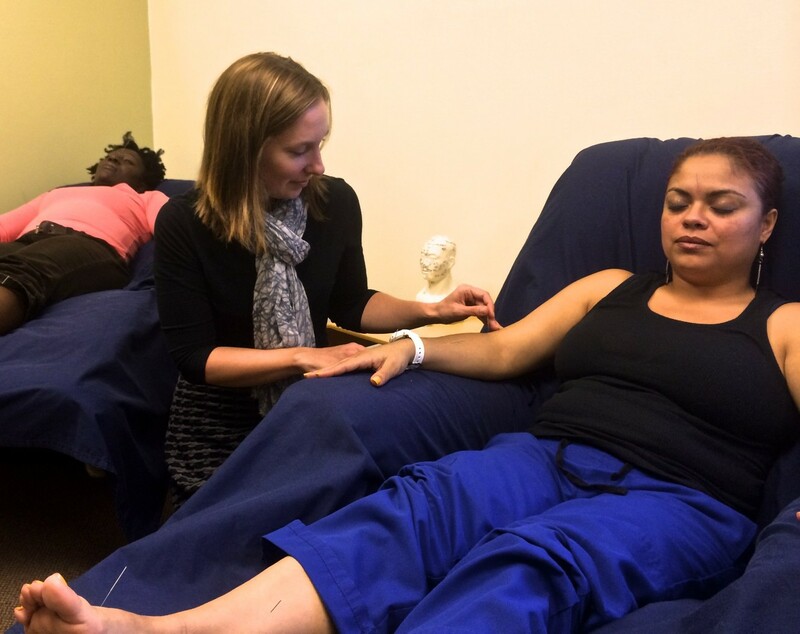 Community acupuncture is a nationwide movement to create access to acupuncture by making treatments affordable. You receive your acupuncture treatment while you rest in a comfortable recliner or table in our serene community treatment room. We use acupuncture points on the head, ear and below the elbows and knees to treat the entire body, so there’s no need to undress – just remove your shoes and roll up your pants and sleeves. We can even address your back pain by treating points on your hands and feet. You will be with other people quietly receiving treatment at the same time. Patients benefit many ways from the community setting. In our busy society, it is not often we stop and take time to relax while surrounded by our peers. This is not a lack of privacy but an opportunity to experience treatment with family, friends and community. The shared experience makes individual treatments more powerful. Young children and infants may be treated in individual rooms dependent on their needs. During your initial consultation and treatment, your acupuncturist will spend some time with you talking about your health history, chief complaints and your goals for optimum health. Your practitioner will then give you a treatment plan that will include a series of acupuncture treatments over a certain period of days, weeks or months. Each person’s treatment plan may be different depending on the severity of your condition. Absolutely! Children under the age of 7 may receive a very gentle, non-insertive technique called Shonishin. Children age 7 and older may be ready for regular acupuncture treatments with just a few gentle needles. Our goal is to keep acupuncture treatments affordable. In addition to acupuncture we now offer cupping sessions at the same rate as acupuncture – $50 for all patients who have never been to South Shore Community Acupuncture and $30 for all returning patients. We do not accept insurance, however, we are happy to give you receipts or superbills that you can submit to your insurance company for reimbursement. We accept cash, checks and credit cards (MC, Visa, Amex, Discover and Flexible Spending Accounts). Note we are located inside MVPediatrics, a pediatric medical office. Affordable acupuncture treatments serving Quincy, Braintree, Milton, Weymouth, Dorchester, Mattapan, South Boston, Hyde Park, West Roxbury, Jamaica Plain, Roslindale, Hingham, Cohasset, Hull, Randolph, Stoughton, Dedham, Canton, Norwood, Brockton, Abington, Whitman, Holbrook, Norwell, Scituate and surroundings communities on the South Shore of Massachusetts. On Saturday April 6th and 27th Mira will sub for Meghan from 10 AM to 2 PM.